Can You Work Together? Options For A More Amicable Divorce - Crooks, Low & Connell, S.C. When many Wisconsin residents think of divorce, they think of a highly contentious and emotional process, full of disputes, blaming games, and efforts to “take the person for all they’re worth.” In reality, not all divorces have to be so acrimonious. For many spouses, divorce is the result of simply realizing that you are no longer compatible partners and would be better off going your own separate ways. For these couples, it may be possible to reach a calm and amicable solution that minimizes the stress, time, and cost of the divorce process. Thankfully, in these situations, Wisconsin offers several good options. In Wisconsin, the divorce process typically begins with the filing of a summons and petition for divorce. The spouse initiating the divorce must file these papers with the court and then make sure that they are served on the other spouse if the other spouse will not agree to accept service of the papers. The non-petitioning spouse will then have the opportunity to respond to the divorce petition. 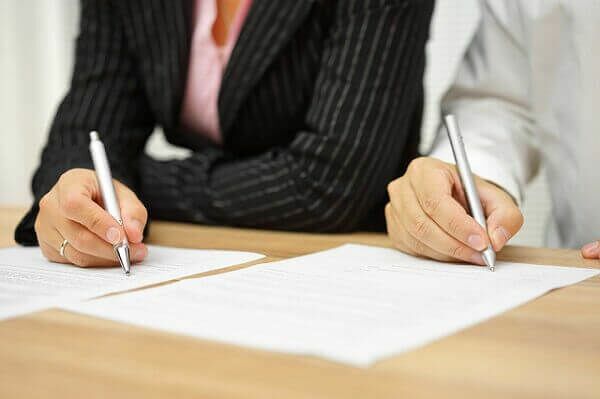 In an amicable situation, the parties can choose to sign the divorce paperwork together as “joint petitioners” so that no one has to be served with papers. Normally, in a contentious case, the parties would exchange financial disclosure statements and prepare for trial. If the disputes involve custody and placement of minor children, the court will order the parties to mediate the case before trial can be scheduled. If mediation is unsuccessful, a Guardian ad Litem will be appointed to investigate and given an opinion on the best interests of the children. Then, the parties and their attorneys would set court dates including a final pre-trial hearing, where they would discuss issues that are in dispute with the judge and narrow the scope of the upcoming trial. At trial, both parties and their attorneys will present their evidence on the issues in dispute, and the judge will make a decision on the outcome of the case. Preparing for and dealing with the trial is often the point in the process where things become heated. Where ex-spouses are in agreement about how a divorce should go, they can circumvent the trial process entirely by entering into a marital settlement agreement. A marital settlement agreement is a contract that sets forth the spouses’ plan for resolving all issues relevant to the divorce. When the spouses agree on the issues, they can avoid the need for the judge to decide them: they only need to get court approval of their agreement in order to become divorced. When the parties have a marital settlement agreement, the judge or court commissioner will perform a simple stipulated divorce hearing and, most likely, approve your agreement. That agreement will be incorporated into your divorce judgment and your divorce will be finalized. For example, it is not enough for a marital settlement agreement simply to include a provision that both parties agree that child support is necessary. Instead, the parties must decide who will pay child support, and what amount will be paid. The Wisconsin Statutes contain a formula for calculating child support, and if the parties do not intend to follow that formula, they will need to be prepared to explain the reason for the deviation and seek court approval for the same. Likewise, marital settlement agreements must exhaustively address all property that the party owns and make sure that it is distributed in an agreeable manner between the spouses. When all property is not covered, issues and disputes can arise. Courts look for division of marital assets and debts to be as close to equal as possible, unless the parties agree otherwise. In some circumstances, ex-spouses may reach what is called a partial marital settlement agreement. A partial settlement agreement is not as helpful as a complete marital settlement agreement, but it can help spouses to clarify the true remaining issues in a case. A partial agreement, as it suggests, is where the spouses are able to reach agreement on some, and perhaps even most aspects of a divorce – but cannot agree to all of it. They present the court with the agreements that they have reached, and ask the court to resolve the outstanding issues. This approach can still require the parties to go through the trial process, and even after the trial can leave residual anger and remaining conflict regarding the outstanding issues. While the legal system often seems intimidating and adversarial to outsiders, it does not have to be that way. The legal world, particularly within family law, offers many opportunities for families and individuals to work together cooperatively to reach a mutually agreeable resolution. Marital settlement agreements are one example of these types of cooperative processes. Although it is certainly possible to go it alone with working through a marital settlement agreement, or negotiating a divorce, having an experienced and dedicated attorney by your side can help you to maximize these cooperative processes and get the most out of your negotiation with the least amount of conflict. At Crooks, Low & Connell, S.C., our family law attorneys can work with you to draft a marital settlement agreement that protects your interests in your children, your way of life, and your property – while also keeping the process low-stress and non-adversarial. And if things do go south – or you and your partner are only able to reach a partial settlement agreement – we can also represent you in contested proceedings. For more information, or to schedule a consultation, contact our Wausau, WI offices online or at (715) 842-2291.